Venue: St Georges Anglican Church, Warncliffe Road, East Ivanhoe. Maslanka’s music for winds has become especially well known. Among his more than 150 works are over 50 pieces for wind ensemble, including eight symphonies, seventeen concertos, a Mass, and many concert pieces. Two concertos for Saxophones will feature in this program. This concert is an Homage to David’s music, he passed away in August 2017. Matt Klohs began his professional career as a musician in the Royal Australian Navy Band in 1991 as a 17 year old. 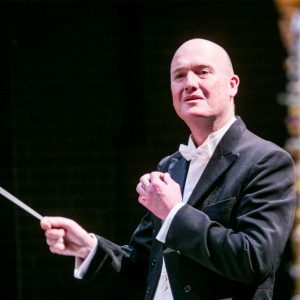 He has since enjoyed a longand successful career encompassing performances throughout Australia and around the world both as a musician and now as a conductor. Matt has held positions as the Music Director and Officer in Charge of both RAN Bands in Sydney and Melbourne and is currently the Second in Command and Senior Instructor at the Defence Force School of Music. Matt has earned a reputation as an international conductor and clinician with successful performances in the United States in the last 2 years as well as conducting Her Majesty’s Royal Marine Bands in the UK earlier in his conducting career. Matt’s skills on the podium are also in demand throughout Australia working with many of the best ensembles in this country. 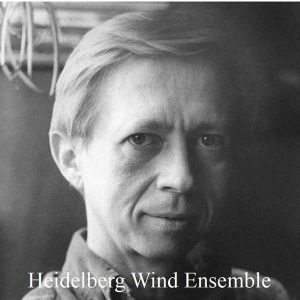 A published composer, he is a passionate advocate for Australian wind band music regularly commissioning new works from both established and emerging composers. He has adjudicated at both State and National level and is a Committee member of the Band Association of NSW and the NSW Councillor with the National Band Council of Australia.